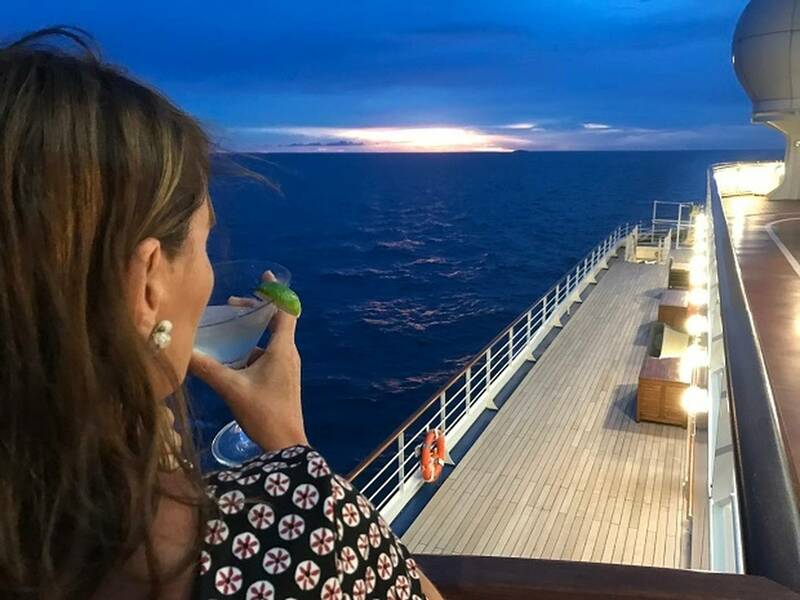 Silversea’s ultra-luxury flagship the Silver Muse is in New Zealand waters for the first time this week. On a recent voyage, Grant Bradley discovered she’s a beauty. Owners: Silversea has been owned by Italy’s Lefebvre family for the past 25 years but last year welcomed the financial muscle of Royal Caribbean as a 67 per cent stakeholder. How big: Silver Muse is Silversea’s biggest ship of a nine-vessel fleet. The company pioneered ultra-luxury cruising with small ships. 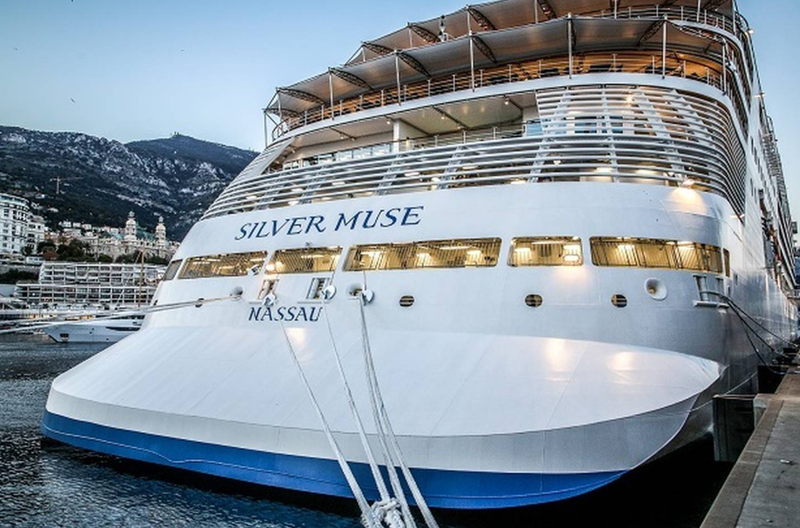 Silver Muse is 212m long, 27m wide and 40,700 gross tonnes. She has a top speed of 21.6 knots — that’s more than 40km/h. How old? She was built by Fincantieri in Genoa and launched in 2017, so gleaming. The craftsmanship is outstanding. How many passengers? 596 looked after by 417 crew. Destinations? Worldwide but is spending a lot of time Downunder this summer and next. Cruise length: Ours was 10 days of a 16-day Christmas cruise from Bali to Sydney. We stopped at Komodo Island and Darwin en-route to Cairns, where we disembarked. Accommodation: There are 298 suites in several categories. All but a few have generous balconies and they range from four giant owner suites to ours, a classic veranda suite, 36sq m of five-star luxury. We had a butler (ours had 11 years’ experience and was on call for any request), a queen-sized bed, pillow menu, marbled bathroom with vanity, separate shower and full-sized bath and Bulgari amenities, a furnished teak veranda, two 106cm HD TVs that were part of the mirrors, and plenty of charging ports. Our mini bar was stocked with whatever we wanted without any of those scary minibar charges — it was part of the package. The Pratesi bed linen was divine. Entertainment: A huge range, from spectacular, cabaret mini-shows — the Christmas show was a hoot — guest musicians, a magician, and a resident DJ. The wide range of onboard activities includes talks by experts on topics relevant to upcoming ports, trivia quizzes, which were very popular, language lessons, bridge lessons, galley and bridge tours, dance lessons and solo travellers’ get-togethers. Facilities: The fitness centre had state of the art Techno-gym cardio gear and weight machines. There were free weights and a dance studio where our workaholic Ukranian fitness instructor took Zumba, Pilates and yoga classes among her many other duties. The spa was blissful and although there are some good bargains, other treatments could be pricey. There are enormous lounges and in the theatre, often the gaudiest place on other ships, the styling was just right on Silver Muse. Fellow passengers: The big surprise. A huge age range but skewed towards the younger (30s to 50s) with a few kids, some of whom were a part of extended families travelling together. That would be nice. Service: Effortless, unobtrusive, always there. The only time you see a hint of a frown is when you turn down dessert or another drink. Shore tours: Some are included as part of your package, others you pay for and they can be steep. There’s an enormous range. We rated highly our trek to see what may be the world’s nastiest animal, the Komodo dragon, and seeing Stumpy the enormous crocodile (also not the friendliest critter) jump for food next to a croc tour boat near Darwin. What’s great about this ship? Big enough to not be found but with fantastic spaces to give it the boutique feel. It’s like being on a giant superyacht without being sterile. This beautifully crafted ship is a friendly place. What’s not so great? The Wi-Fi could be a bit patchy but reasons for that were well explained. Ideal for: Starting at around $1000 a day each, this is for the high-end traveller. But you needn’t pay another cent once on board. 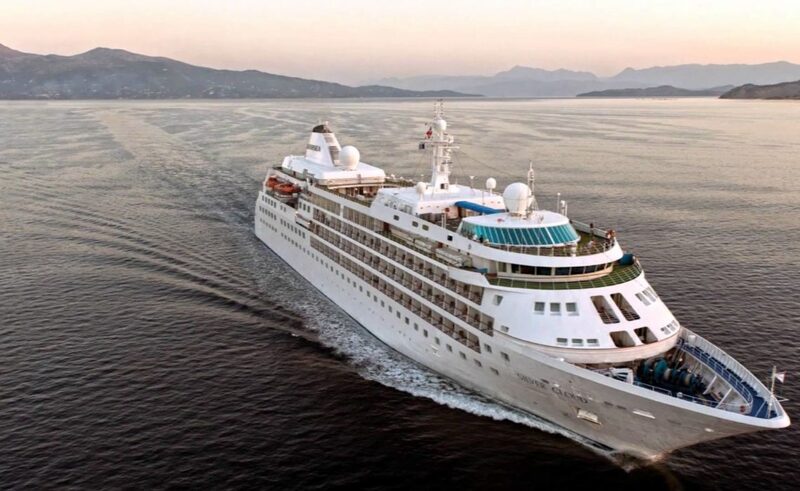 Silver Muse arrives in Auckland on Saturday, then departs for Sydney on Sunday. She’ll call at Tauranga, Gisborne, Picton, Lyttelton, Dunedin, and Doubtful and Milford Sounds on her voyage.